Tuesday 31st January 2017 – 8.00am – Murray MacGregor. 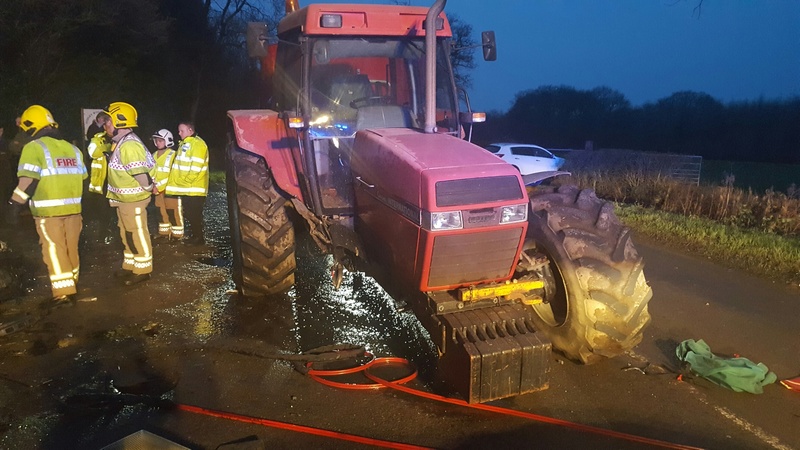 A car driver has suffered potentially serious injuries after a collision between a tractor and a car. It happened at about 4.30pm on the B4116, Coleshill Road near the village of Bentley in Warwickshire, close to Dudley Wood Farm. An ambulance, a rapid response vehicle, a paramedic area support officer and the Critical Care Car from The Air Ambulance Service were sent to the scene. A West Midlands Ambulance Service spokesman said: “When crews arrived they found a car that has suffered very significant front end damage and a tractor that was missing it’s front offside wheel. “The car driver, a man in his 20s, was initially unconscious but came round as he was being treated. “Working with firefighters, it took almost 45 minutes to safely extricate him from the wreckage of the car. “He had suffered a suspected broken pelvis and was also complaining of head and back pain. 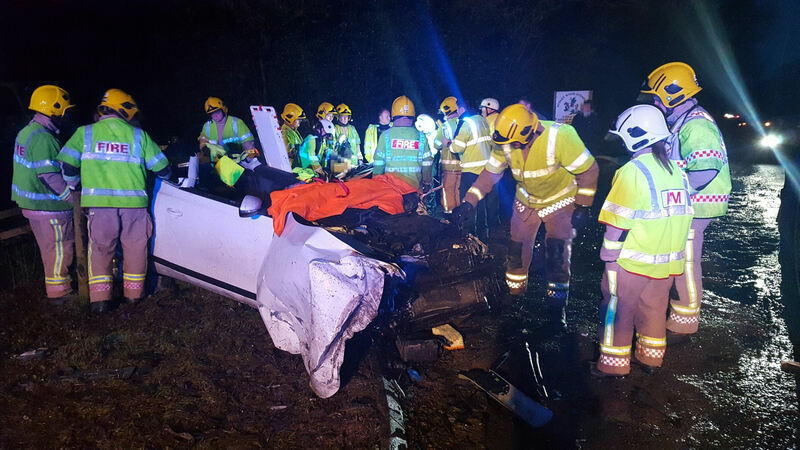 He was given pain relief, was immobilised and had a pelvic binder put in place before being taken on blue lights to the major trauma centre at University Hospital Coventry & Warwickshire; the doctor from the critical care car travelled with the crew. Monday 30th January 2017 – 5.00pm – Murray MacGregor. Two men have had an extraordinarily lucky escape after the car they were in rolled over multiple times coming to rest in a field. The incident happened on Swynnerton Road close to Baden Hall between Sturbridge and Cold Meece in Staffordshire at around 12.35pm today, Monday. Two ambulances, a paramedic area support officer and a community first responder from the Eccleshall scheme attended. A West Midlands Ambulance Service spokesman said: “The Honda Civic had left the road, gone through a hedge and ended up a considerable distance into a field. Thankfully, it came to rest back on its wheels, though it was clear it had rolled over several times. 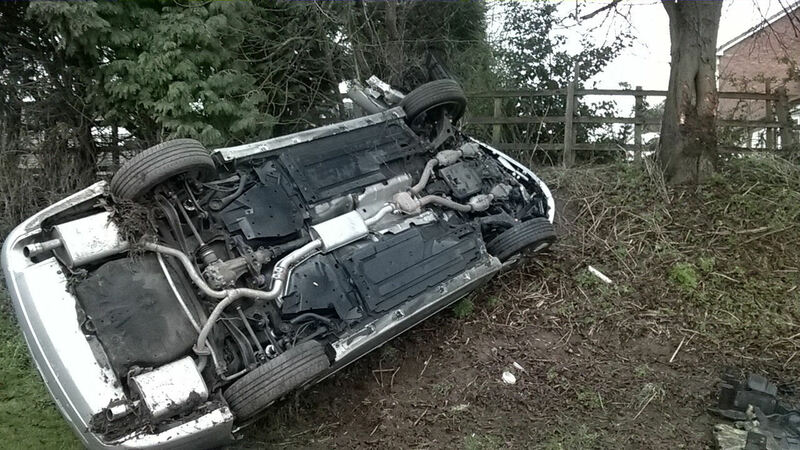 “Despite the crash, the two men inside, who are aged 25 years, escaped serious injury. “The front seat passenger was trapped for about an hour. He has suffered a right leg fracture as well as back and neck pain. His leg was splinted and he was immobilised before being taken to Royal Stoke University Hospital. “The driver had suffered a possible dislocation of his shoulder and was complaining of neck pain. He too was immobilised before being taken to the same hospital. Monday 30th January 2017 – 1.30pm – Murray MacGregor. Six people have been taken to hospital, one in a serious condition, after a two car crash. The incident happened at about 7.35pm on Sunday evening on the southbound A46 at Warwick just before the Birmingham Road junction. Three ambulances, a paramedic area support officer and a rapid response vehicle were sent to the scene. 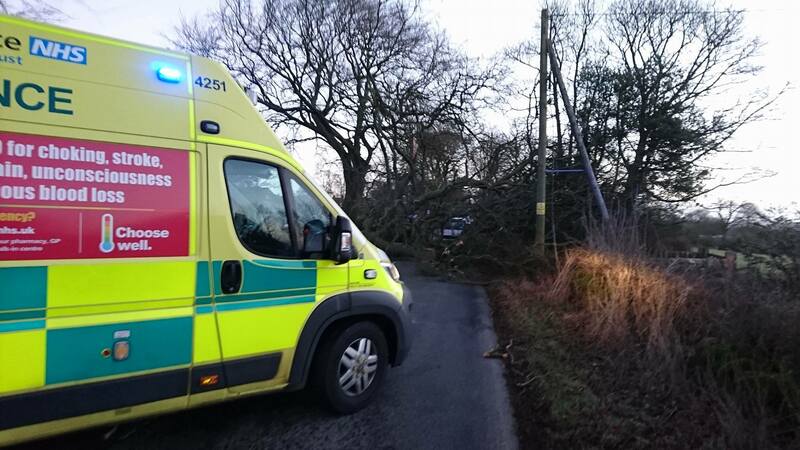 A West Midlands Ambulance Service spokesman said: “On arrival, crews found two cars that had suffered significant damage and had come to rest on the verge next to trees and bushes. 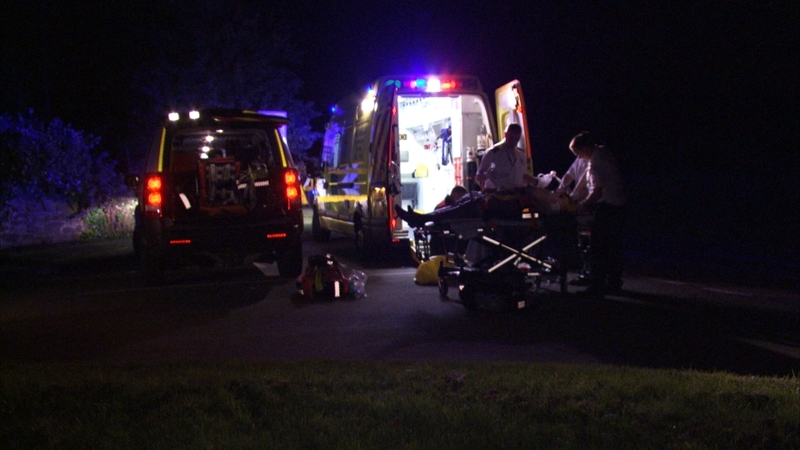 “A 29 year old woman from one of the cars had been helped from the vehicle and was lying on the grass nearby. She had potentially serious injuries and was immobilised before being taken on blue lights to the major trauma centre at Univeristy Hospital Coventry & Warwickshire. “Five others received less serious injuries and were taken to Warwick Hospital. A 15 year old girl with a sprained left ankle, a head injury and right shoulder pain. Wednesday 25th January 2017 – 8.00am – Claire Brown. West Midlands Ambulance Service is delighted to receive an ‘outstanding’ rating which is the highest possible rating from health and social care regulator, the Care Quality Commission (CQC). The CQC report, published today, follows the regulators inspections to the Trust during the Summer of 2016. West Midlands Ambulance Service Chief Executive, Anthony Marsh, said: “West Midlands Ambulance Service is the only ambulance trust to be rated outstanding by the CQC. I am incredibly proud of my staff and the volunteers who support us, for providing the best possible care to patients across the West Midlands. “Helping others is at the heart of everything we do and I am hugely pleased that the CQC saw a positive, patient centred culture within the Trust with hard working staff proud to work here and making a real difference to patients’ lives. Compassion is a large part of our role and I am equally proud that the report highlighted staff were outstanding in the way they support people who are distressed or overwhelmed in stressful situations. “Quality and safety are key priorities for us; they are essential for running an effective ambulance service and I’m pleased that this was highlighted by the CQC as was our strong and stable leadership team. “I am delighted that they also recognised that we are at the forefront of making improvements in dealing with the ever-increasing number of emergency calls we receive by recruiting hundreds of paramedics, the introduction of new vehicles and trialling innovative ways to minimise the time patients must wait. “I accept the comments in the report relating to improvements required in patient transport services. We have already implemented a number of improvements since the inspection and will continue to make further improvements so that we can improve their rating. “One of the great strengths of this organisation are the staff and the way they work so hard to do what is right for our patients and their colleagues. As well as those highlighted we also see this in other areas such as our clinical performance and financial objectives. 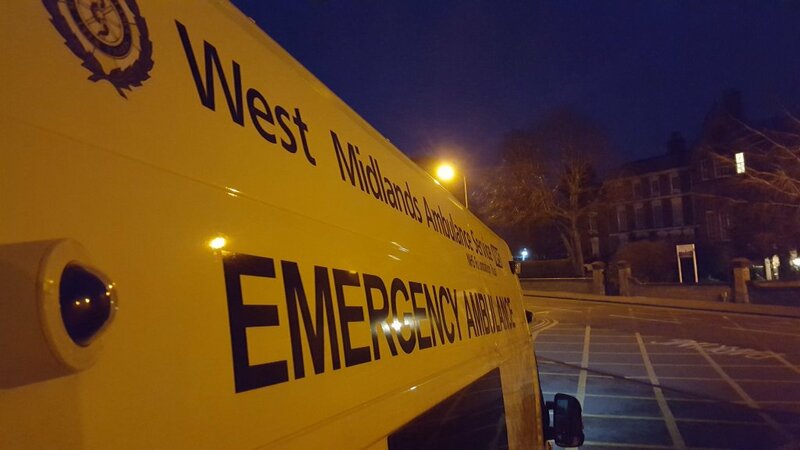 West Midlands Ambulance Service Chairman, Sir Graham Meldrum, added: “This is an excellent start to 2017 not only for our staff and volunteers but for the people of the West Midlands. It is an inevitable fact that, every single day, people will call 999 for help in their hour of need. The CQC report shows that patients are receiving the highest standard of care and compassion from our staff as well as providing appropriate care in the right place and at the right time. The inspections looked at all aspects of how the Trust operated, paying particular attention to Emergency and Urgent Care, Emergency Operations Centre, Patient Transport Services and Resilience. The five key areas the CQC look at are whether a service is safe, effective, caring, responsive and well-led. The Trust received a rating of ‘outstanding’ for providing caring and effective services and ‘good’ for being safe, responsive and well-led. Resilience was rated ‘outstanding’ overall. Tuesday 24th January 2017 – 12.00noon – Claire Brown. 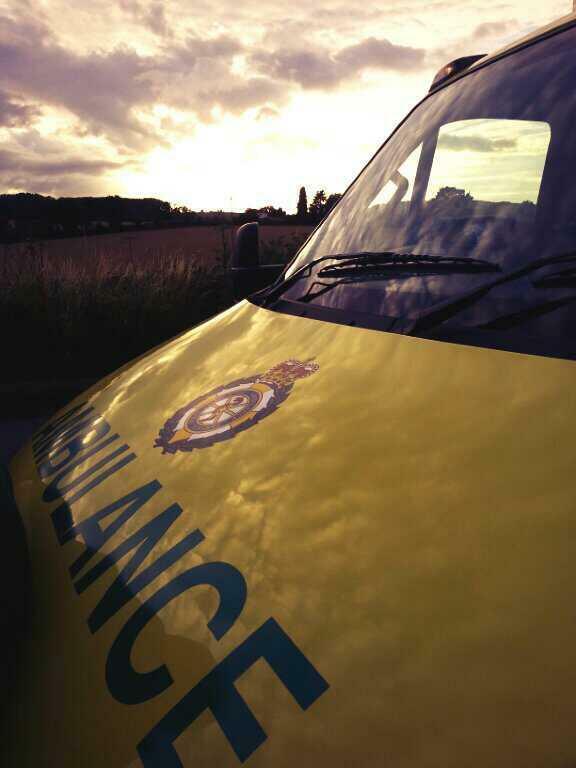 A car which left a road and ended up in a field last night in Staffordshire has left a man in a serious condition. West Midlands Ambulance Service received a 999 call from the police reporting a single vehicle collision on the A50 near to Draycott-in-the-Moors just before 11.00pm (Monday). Two ambulances, a paramedic area support officer and a BASICS doctor were sent to the scene. 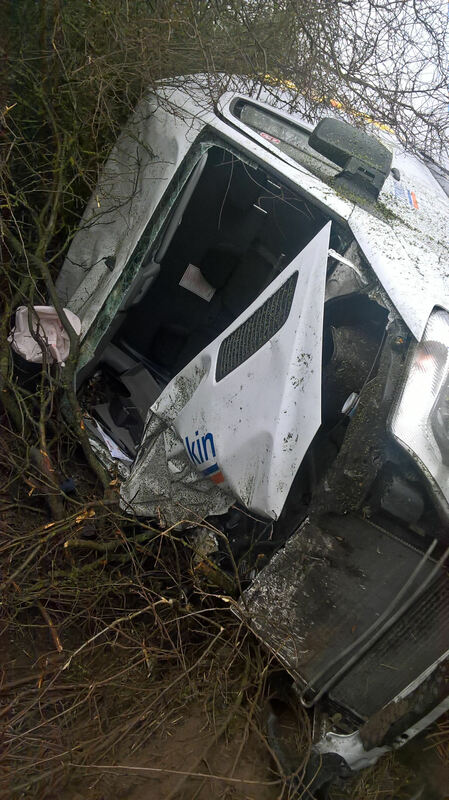 A West Midlands Ambulance Service spokeswoman said: “Upon arrival ambulance staff found a car which had left the carriageway, travelled up an embankment and ended up in a field. The driver of the car, a man believed to be in his 40s, sustained serious injuries which required advanced treatment by ambulance staff on scene before being rushed to Royal Stoke University Hospital on blue lights. Treatment continued en route to A&E. Tuesday 24th January 2017 – 11.00am – Claire Brown. 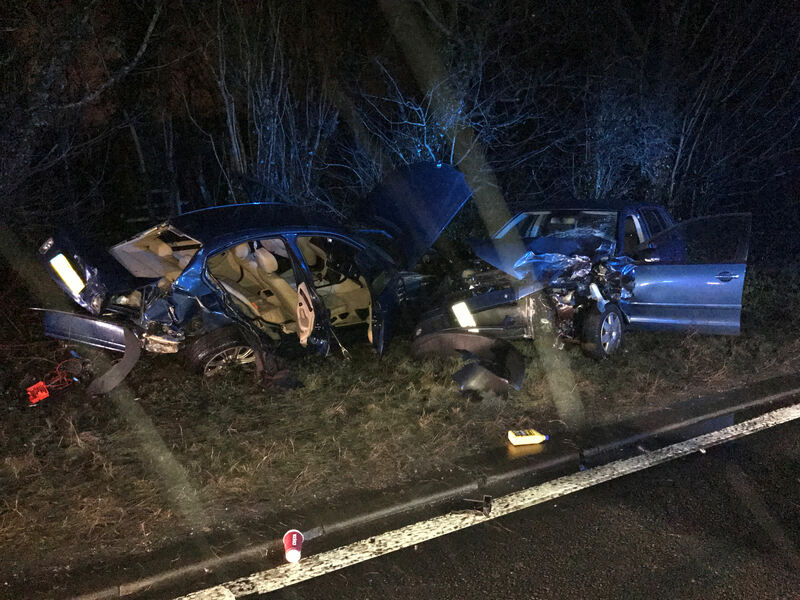 Two men needed trauma care by ambulance staff and two doctors last night after they were involved in a collision on the Birmingham and Warwickshire border. West Midlands Ambulance Service was called to the junction of the Minworth Road and Water Orton Lane in Water Orton shortly after 10.00pm last night (Monday). Two ambulances, a paramedic area support officer, a MERIT trauma doctor and a Critical Care Car from The Air Ambulance Service attended. A West Midlands Ambulance Service spokeswoman said: “Upon arrival ambulance staff found a car which had collided with a tree. On the same stretch of road, a motorcyclist had also come off his bike. “The driver of the car, a man in his 20s, sustained multiple serious injuries in the collision with the tree and required advanced trauma care at the roadside to help stabilise his condition. The man was taken by land ambulance, on blue lights, to University Hospital Coventry and Warwickshire for further trauma care. The critical care doctor travelled with the ambulance crew to continue treatment en route. Monday 23rd January 2017 – 8.00am – Murray MacGregor. A generous donation from a charitable trust could turn dozens of rural communities into lifesavers. The Four Acre Trust is donating £50,000 towards buying additional automated external defibrillators (AEDs) for rural areas of Herefordshire and Worcestershire. To qualify, local communities need to raise half the money and the Four Acre Trust will pay the other half. The funding should mean up to 100 extra AEDs being available to members of the public to use in the event of someone suffering a cardiac arrest. A defibrillator is used to reset the heart so that it can start beating normally again. A cardiac arrest is where the heart stops beating and should not be confused with a heart attack. Every year there are over 130,000 out of hospital cardiac arrests in England. With early cardiopulmonary resuscitation (CPR) and defibrillation, over 90% of those patients could be saved. Sadly, only about 8% will be saved because it takes too long to get help. By increasing the number of AEDs in the community, more lives can be saved. Chair of Trustees for the Four Acre Trust, John Bothamley, said: “We generally support charities that give individuals – mainly children and young people – help in making the most of their lives. “What better way can we help those children, their parents and friends than by helping them to save a life. We want to get as many children and young people involved in this scheme as possible as well as their parents. When a community comes up with the funding, they should apply to the Hereford and Worcester Community First Responder (HWCFR) Charity who will arrange for the defib to be placed in a box on the likes of a church wall, school, shop or even pub; anywhere that it can be accessed 24 hours a day. West Mercia Community Response Manager, Cliff Medlicott, added: “For every minute after the heart stop beatings, your chance of survival drops by 10% so you can see how important it is that we get more defibs out into the rural communities. 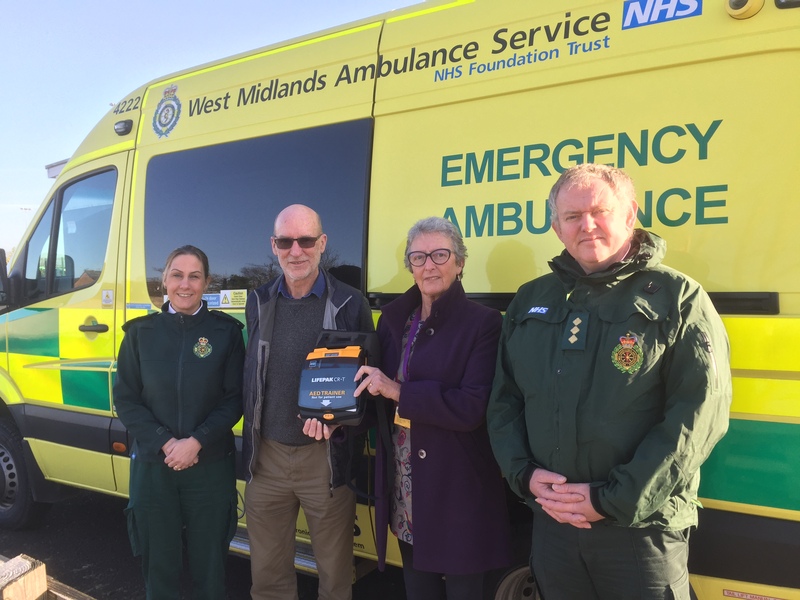 General Manager for West Mercia with West Midlands Ambulance Service, Michelle Brotherton, said: “As someone who lives in a rural area, I have seen the value of having a defib in the community. There are people who are alive today because there was one nearby. Friday 20th January 2017 – 4.15pm – Jamie Arrowsmith. A lorry driver has died after their vehicle overturned and caught fire on the motorway this morning. West Midlands Ambulance Service was called to the M42, near to the link with the M5, shortly before 11.50am and sent an ambulance and a senior paramedic officer to the scene. A West Midlands Ambulance Service spokesman said: “Ambulance staff arrived at the scene to find the lorry overturned and on fire. “Once the fire had been brought under control, crews were able to access the patient. Notes to Editors: We do not know the gender of the patient involved. Friday 20th January 2017 – 12.10pm – Jamie Arrowsmith. A man has died and a woman has been taken to hospital following a two-car collision this morning. West Midlands Ambulance Service was called to the A51 Tamworth Road, between Tamworth and Lichfield, shortly before 8am. Two ambulances, a paramedic area support officer, the Midlands Air Ambulance crew from Staffordshire in a rapid response vehicle and the Leicestershire, Derbyshire and Rutland Air Ambulance attended the scene. A West Midlands Ambulance Service spokesman said: “On arrival, crews discovered two cars that had been significantly damaged in the collision. “The driver of the one of the cars, a man, was trapped inside his vehicle which had overturned in the incident. “He was found to be in cardiac arrest and quickly freed from the car. Ambulance staff immediately began CPR and administered advanced life support. “The driver of the second car, a woman believed to be in her 50s, managed to get herself out and was fully conscious when ambulance staff arrived. Friday 20th January 2017 – 8.55am – Jamie Arrowsmith. Three people have been treated for multiple injuries at the scene of a two car collision, two of whom were seriously injured. West Midlands Ambulance Service was called to Coventry Road, near to The Griffin Inn, in Nuneaton shortly after 9.50pm last night and sent three ambulances, a paramedic area support officer, a MERIT trauma doctor and the Warwickshire and Northamptonshire Air Ambulance Critical Care Car to the scene. A West Midlands Ambulance Service spokesman said: “Crews discovered two cars with significant front end damage when they arrived at the scene. “One of the cars still had the driver trapped inside, a man believed to be in his 30s. “Crews assessed him whilst still inside the vehicle before working closely with the fire service in order to free him. “He was suffering from a slightly reduced level of consciousness and treated for serious head, leg and pelvic injuries. He was immobilised and given pain relief before being taken to University Hospital Coventry and Warwickshire. “The doctor and critical care paramedic from the Critical Care Car travelled on the ambulance to continue treating the patient enroute. “The driver of the second car, a man thought to be in his 20s, managed to free himself from the vehicle. “He was fully conscious but received treatment from ambulance staff for head, face, back, abdominal and shoulder injuries. “Pain relief was administered and the man was immobilised before being taken to the same hospital. Friday 20th January 2017 – 7.45am – Murray MacGregor. A man has died after a collision between a van and a car. The crash happened just after 5.15pm on Thursday afternoon on the A429 just to the south of Ettington in Warwickshire. A South Western Ambulance Service ambulance transporting a patient to Warwick Hospital was just behind the crash and the crew stopped to provide aid. West Midlands Ambulance Service sent three ambulances, a paramedic area support officer and The Air Ambulance Service Critical Care Car. The Wiltshire Air Ambulance was also dispatched and arrived overhead but was not needed. A West Midlands Ambulance Service spokesman said: “Both vehicles had suffered very severe damage. “The man in the car was very badly injured. Ambulance staff worked with firefighters to try and free him from the vehicle but sadly his condition worsened. “Ambulance staff and the doctor performed advanced life support but sadly it was not possible to save him and he was confirmed dead at the scene. “The van driver, a man believed to be in his 40s, had suffered a suspected broken pelvis, chest pain and had a right leg injury. “He was immobilised, given pain relief and had a pelvic binder put in place before being taken on blue lights to the major trauma centre at University Hospital Coventry & Warwickshire. The doctor from the Critical Care Car travelled with crew. 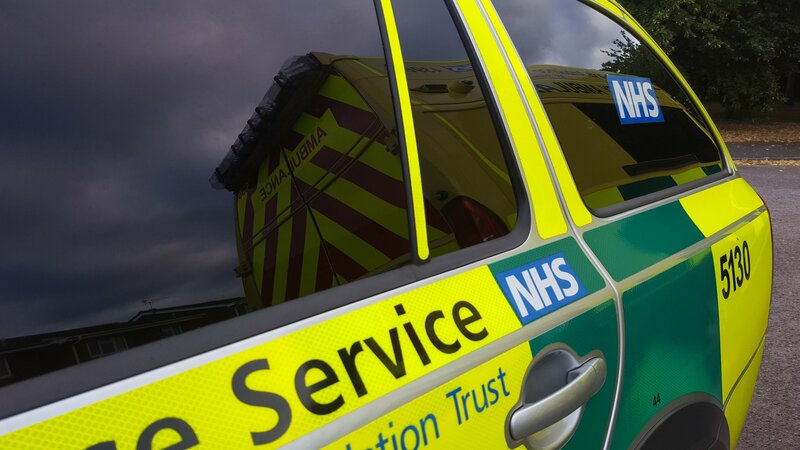 A man needed head to toe treatment by ambulance staff this afternoon after a collision in Warwickshire. West Midlands Ambulance Service received a 999 call reporting a collision involving a pedestrian and a car on the Leicester Road in Wolvey, near Hinkley shortly after 2.00pm (Tuesday). An ambulance and a responder paramedic attended. At a time when demand on the NHS is unprecedented, a decision five years ago to increase the number of paramedics on frontline ambulances is paying huge dividends for patients and other healthcare providers alike. 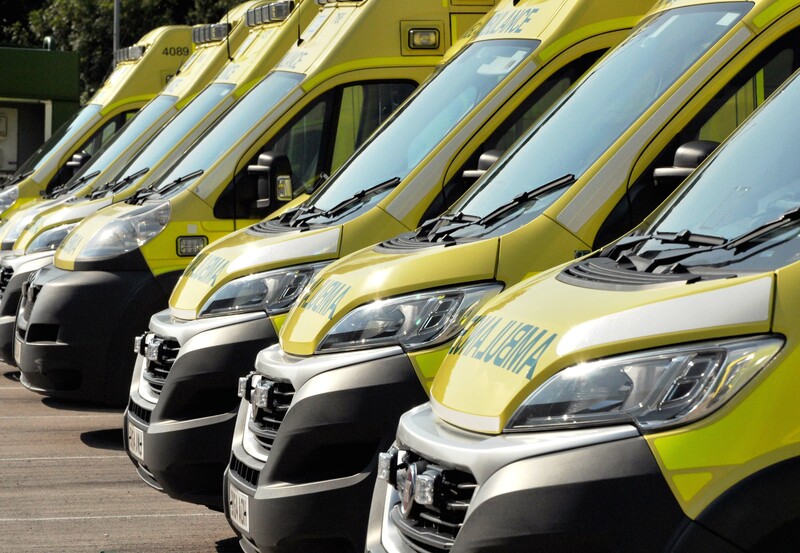 New figures released by West Midlands Ambulance Service show that as the number of paramedics on vehicles has increased the percentage of patients being taken to A&E Departments has fallen. Five years ago in 2012, 81.8% of ambulances had a paramedic on board. Last year, 2016, that figure had risen to an average of 86.8% for the 12 month period, though in November it was 90.1%. At the same time the percentage of emergency patients being taken to hospital had dropped from 61.3% in 2012 to an average of 59.6% in 2016, though in December it was down to just 58.7% with some days below 50%. What is more impressive is that these changes have been achieved despite huge increases in demand over the period. During the five year period, the total number of incidents attended has risen from 767,050 to 933,400 – a 21.7% rise. WMAS Chief Executive, Anthony Marsh, said: “We remain on course to become the first Trust in the country to have a paramedic on every vehicle, every shift. We already achieve this in the more rural counties we serve and are getting steadily closer to that goal in all areas. “What is absolutely clear is that doing so will allow us to further reduce our conveyance rate to less than 50% which can only be good for patients, but also other health providers. “I am immensely proud of my staff for all they are doing to use their skills to provide the very highest standards of care. They are treating many more patients themselves, but where they need support, they are making excellent use of the range of alternative pathways that are available to them. 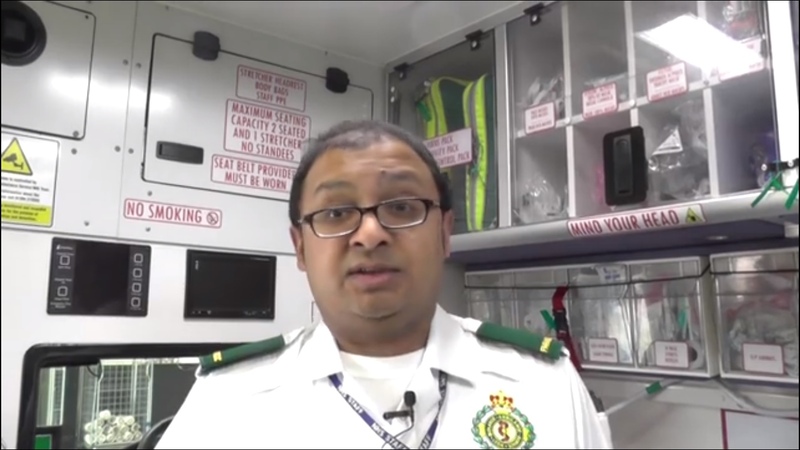 “For example, we get tremendous support from a GP scheme in Worcestershire where crews can request a visit from a GP after they have assessed the patient. This keeps hundreds of patients a month away from busy A&E Departments. “In many other parts of the region we work with local authorities who provide hugely successful ‘falls teams’ who can provide, mainly elderly patients, with the support they need to be able to stay at home. 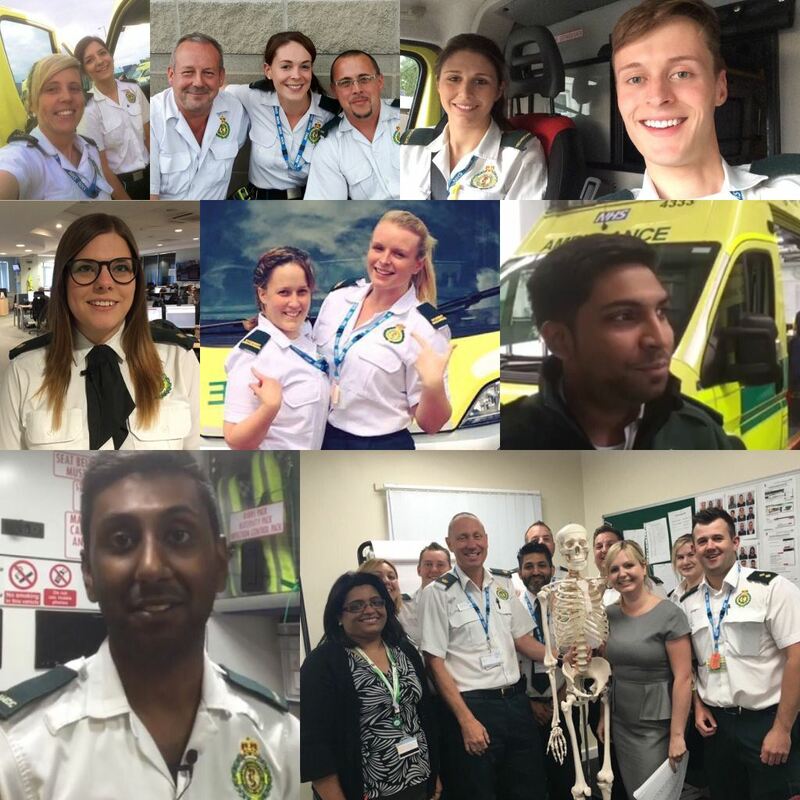 “As a service we are continuing to maximise the number of paramedics we employ through attracting an increasing number of graduate paramedics from the universities we work with: Staffordshire, Wolverhampton, Coventry and Worcester. 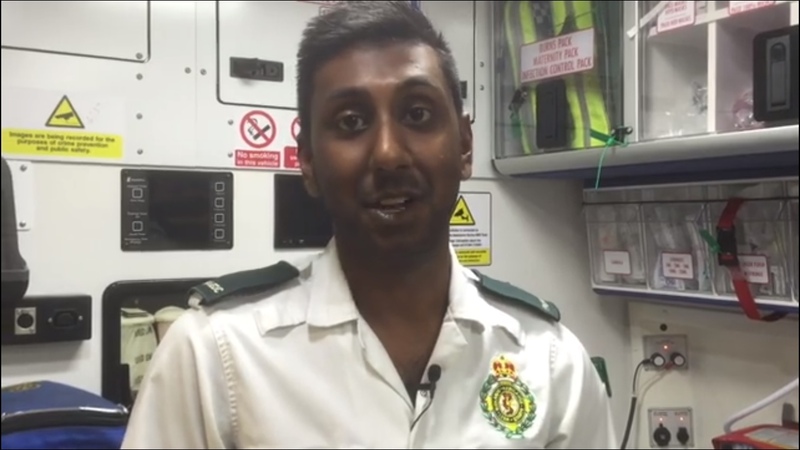 “We have also recruited hundreds of staff through our innovative student paramedic programme. Over the three years 2015-16 to 2017-18 we will have taken on over 900 staff in this 30 month programme. This ensures that a steady flow of qualified paramedics come into the service at the end of their studies. Thursday 19th January 2017 – 3.58pm – Murray MacGregor. A man and a woman have escaped serious injury after the car they were in left the road and hit a tree, ending up on its side. The incident happened near Bexfield Close, Rye Hill in the Allesley area of Coventry at just before 1.10pm today. Two ambulances and a senior paramedic officer were sent to the scene. A West Midlands Ambulance Service spokesman said: “The incident happened on a long left hand bend as the car was heading up the hill. “When we arrived, we found the car on its side, but fortunately the two people inside had managed to get out through the rear. “The driver, a 29 year old woman was shaken but otherwise unhurt and after assessment was discharged on scene. Thursday 18th January 2017 – 3.15pm – Murray MacGregor. 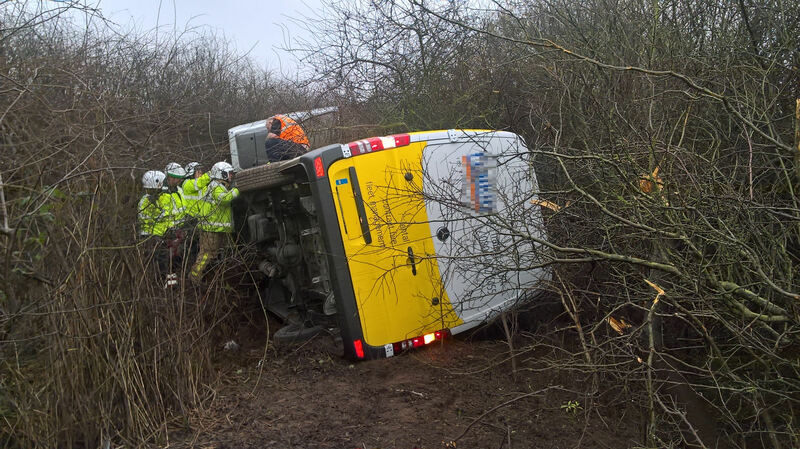 A driver has escaped with remarkably minor injuries despite the van he was in leaving a motorway, going up an embankment and ending up on its side in thick undergrowth. The incident happened on the M54 in Shropshire between junction 4 and 3 at Shifnall at about 12.20pm today (Thursday). An ambulance, a paramedic area support officer, the Hazardous Area Response team were sent to the scene. The MERIT Trauma doctor from the Midlands Air Ambulance at Cosford also attended in a rapid response vehicle. A West Midlands Ambulance Service spokesman said: “There were two vehicles involved; the van and another good vehicle. After the initial collision, the van went up the embankment and came to rest on the driver’s side while the second vehicle stayed on the motorway. “A lorry driver stopped and went up to check on the driver of the van. The 44-year old was trapped by the steering column, on his side. “The doctor and a paramedic crawled into the vehicle to start treating him while firefighters removed the windscreen. The man was immobilised and brought out on a long board. “Astonishingly his only injury appeared to be a knee injury. Due to the nature of the incident, he was taken by ambulance to New Cross Hospital in Wolverhampton. “The two men in the other vehicle were checked over but both were discharged on scene. One had neck pain, the other a head injury but both were minor. Thursday 19th January 2017 – 1.45pm – Murray MacGregor. Wednesday 18th January 2017 – 4.15pm – Jamie Arrowsmith. Quick thinking ambulance staff have helped avoid a potentially extremely serious crash on the M6 by setting up a rolling road block to protect a car that was weaving all over the road. The move became necessary after they spotted a car continually crashing into roadside barriers near to junction two on the northbound side of the M6 at 1.19pm this afternoon. A senior paramedic officer also attended the scene. A West Midlands Ambulance Service spokesman said: “Having initially managed to slow the vehicle down to a stop, the crew approached the driver, a man in his 50s, and it immediately became apparent that he was suffering a medical episode that as a result meant he was not aware of what was happening. “Whilst the crew were talking to the man, he began driving again, once again colliding with barriers on the near and off side of the carriageway. “In order to prevent a collision with other vehicles on the motorway, which would have had the potential to cause multiple serious injuries, the crew used their ambulance to set up a rolling road block, successfully managing to bring the traffic behind them to a stop. “They followed the car for a further two miles before it finally came to rest after a significant collision with the barrier. The crew, then again approached the car. 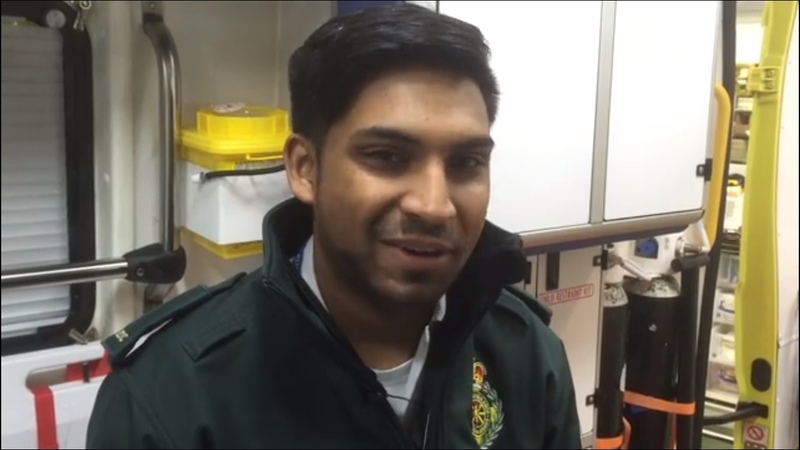 “They treated the man for his condition whilst still inside the car, stabilising and immobilising him before moving him on to the back of the ambulance. “He was also treated for chest, abdominal and shoulder pain before being taken on alert to University Hospital Coventry and Warwickshire. Wednesday 18th January 2017 – 9.50am – Murray MacGregor. A pedestrian has suffered multiple injuries after a collision with a car. The incident happened at about 6.20am this morning (Wednesday) on the A491 Hagley Road, near the junction with Cranbourne Road in the, Old Swinford area of Stourbridge. An ambulance was fist on scene and was backed up by a paramedic area support officer and the MERIT Trauma Doctor. A West Midlands Ambulance Service spokesman said: “On arrival, crews found an off duty nurse providing care to the 51 year old man. The car had damage to the bonnet and windscreen. “The man had suffered a number of fractures and dislocations. He also had head injuries and it was thought that he had been knocked unconscious briefly. “He was given pain relief, was immobilised and had his right leg splinted before being taken on blue lights to the major trauma centre at the Queen Elizabeth Hospital Birmingham. Wednesday 18th January 2017 – 8.07am – Murray MacGregor. The tragic incident happened in Croftdown Road in the Harborne area of Birmingham at around 10.45pm last night (Tuesday). An ambulance was on scene five minutes after the 999 call and was backed up by a second ambulance, a paramedic area support officer and the MERIT Trauma Doctor. A West Midlands Ambulance Service spokesman said: “On arrival, crews found members of the public carrying out CPR (cardiopulmonary resuscitation) on the middle aged man. “They immediately started advanced life support but despite all of the efforts, it was not possible to save him and he was confirmed dead at the scene. Tuesday 17th January 2017 – 4.55pm – Claire Brown. Monday 16th January 2017 – 5.20pm – Jamie Arrowsmith. A total of 33 patients have been assessed for possible carbon monoxide poisoning with six having been taken to hospital for further treatment following an incident at an industrial premises this afternoon. West Midlands Ambulance Service was called to Kuehne and Nagel in Stubby Lane, Draycott In The Clay, Ashbourne, at 12.55pm and sent four ambulances, three paramedic officers, a paramedic in a rapid response vehicle, the Trust’s Hazardous Area Response Team and the Midlands Air Ambulance crew from Staffordshire, in a rapid response vehicle, to the scene. A West Midlands Ambulance Service spokesman said: “Crews initially attended reports of a woman who was feeling unwell. “It quickly became apparent that she was suffering from the effects of carbon monoxide poisoning and immediately began receiving treatment from ambulance staff. “A number of other patients then began coming forward. Ambulance staff worked quickly to assess them all in order to establish the severity of their conditions. Monday 16th January 2017 – 4.15pm – Jamie Arrowsmith. A woman has been treated for a serious abdominal injury and taken to University Hospital Coventry and Warwickshire on blue lights and sirens following a collision between a car and a van this afternoon. West Midlands Ambulance Service was called to the A46 in Drayton, near to Wildmoor Spa, at 12.30pm and sent two ambulances and a paramedic area support officer to the scene. A West Midlands Ambulance Service spokesman said: “When ambulance staff arrived they found a car and van that had both suffered front end damage in the collision. “The most seriously injured patient was the passenger in the van, a woman believed to be in her 40s. “She was treated at the scene for a serious abdominal injury and shoulder pain. She was immobilised and given pain relief before being taken to hospital on alert. “The driver of the van, a man also thought to be in his 40s, was treated for arm, neck and shoulder pain and taken to the same hospital. Friday 13th January 2017 – 2.30pm – Claire Brown. Despite how it looked to drivers on the M6, a multi-vehicle collision on the motorway in Stoke-on-Trent earlier thankfully didn’t result in any serious injuries. West Midlands Ambulance Service received a number of 999 calls to reports of a four vehicle RTC on the northbound carriageway of the M6, a mile before junction 16 at 11.45am (Friday). Two ambulances, a paramedic area support officer, a senior paramedic officer and a BASICS emergency doctor attended the scene. The Midlands Air Ambulance from Tatenhill was assigned to the case but was stood down en route. A West Midlands Ambulance Service spokeswoman said: “When ambulance staff arrived they found several vehicles which had been involved in a collision. “One car, which had sustained significant damage, had come to rest straddling the hard shoulder and lane one and was facing in the wrong direction. The two occupants of the car, two women in their 40s, had managed to get out of the vehicle and had suffered relatively minor injuries. “The driver sustained a cut to her head and an arm injury. Ambulance staff administered pain relief and immobilised her with a neck collar and spinal board as a precaution before she was taken to Royal Stoke University Hospital. The passenger suffered no apparent injuries but had reportedly been knocked unconscious for a short time. She too was immobilised as a precaution and was taken to the same hospital for further checks. Friday 13th January 2017 – 12.00 noon – Claire Brown. One man has died and a woman has been taken to hospital after a collision during this morning’s rush hour in Solihull. West Midlands Ambulance Service received a 999 call at 8.45am reporting a road traffic collision involving two cars on Eastcote Lane in Hampton-in-Arden, Solihull earlier today (Friday). A community paramedic, an ambulance and a paramedic area support officer attended the scene. A West Midlands Ambulance Service spokeswoman said: “Ambulance staff arrived to find one car which had left the road. Sadly nothing could be done to save the driver, a man, and he was confirmed dead on scene. Friday 13th January 2017 – 10.45am – Claire Brown. Despite the best efforts of bystanders and ambulance staff, a man’s life sadly couldn’t be saved following a road traffic collision this morning. The incident happened on the A51 Tamedrive in Tamworth and emergency services were called to the scene shortly after 7.00am (Friday). Two ambulances, a responder paramedic, a paramedic area support officer and the Critical Care Car from The Air Ambulance Service with a doctor on board attended the scene. A West Midlands Ambulance Service spokeswoman said: “When ambulance staff arrived they found a pedestrian, a man, in cardiac arrest being given CPR by passers-by. Friday 13th January 2017 – 8.45am – Claire Brown. A man needed trauma care from ambulance staff during rush hour last night after he was injured in a road traffic collision. West Midlands Ambulance Service was called to reports of a collision involving a car and a pedestrian at the junction of Court Street and Parkway in Madeley, Telford at 5.15pm (Thursday). Two ambulances, a paramedic area support officer and the air crew and MERIT trauma doctor from the Midlands Air Ambulance base in Cosford attended the scene by response car. A West Midlands Ambulance Service spokeswoman said: “The pedestrian, a 22-year-old man, sustained a nasty wound to his head and a serious leg injury in the collision. Ambulance staff and the doctor worked as a team to provide trauma care to the man to stabilise his injuries. He was given pain relief before being immobilised with a leg splint and placed onto a scoop stretcher before being taken by land ambulance on blue lights to Royal Shrewsbury Hospital. Wednesday 11th January 2017 – 12.30pm – Murray MacGregor. 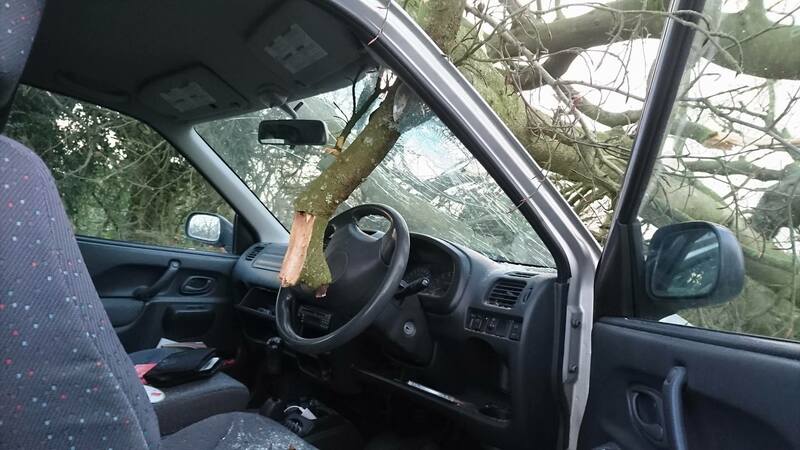 A driver has had an incredibly fortunate escape after surviving a branch from a fallen tree punching through his windscreen and striking his head! It happened on a country road in the Staffordshire Moorlands at about 7.40am this morning. An ambulance was sent to Back Lane in Warslow after the collision. 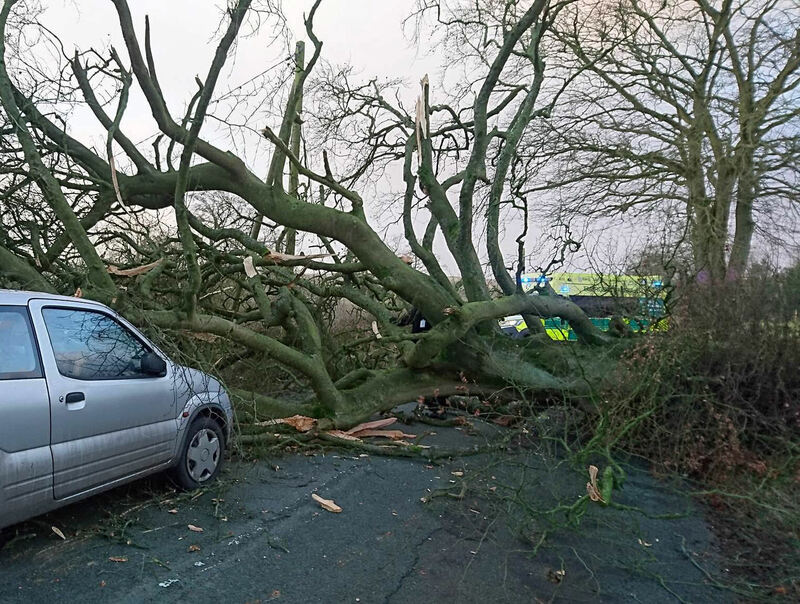 A West Midlands Ambulance Service spokesman said: “A large tree had come down in the strong winds affecting the area. 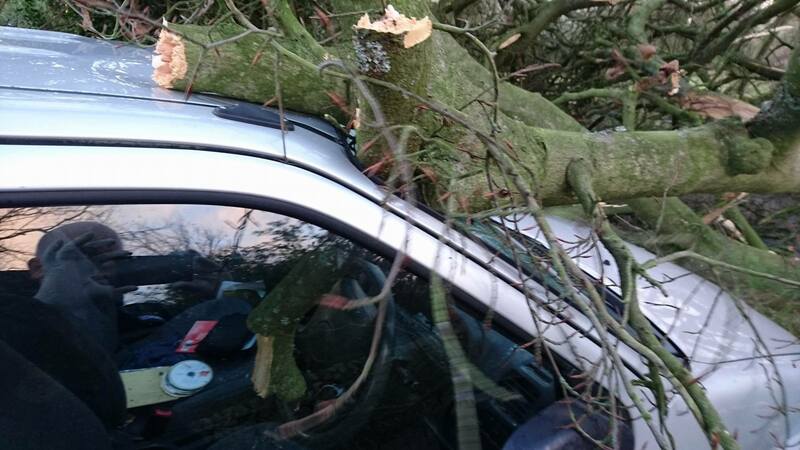 “The driver, a 40 year old man, told the crew that the tree had come down onto his car and one of the branches had gone through his windscreen. “Fortunately, he had been driving at an appropriate speed and was able to stop rapidly but not before the branch struck his face. Despite the incident, the man was able to go to a nearby house to seek help. “Astonishingly, he had suffered no serious injuries other than a bloodied nose and some swelling. Wednesday 11th January 2017 – 2.58pm – Murray MacGregor. 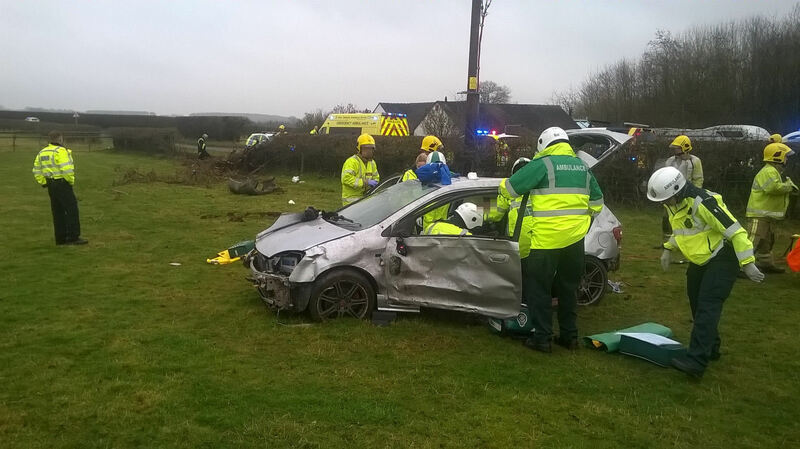 An elderly woman has been taken to a major trauma centre after suffering multiple injuries in a collision with a car. The collision happened on Colley Lane in Cradley Heath at about 10.25am this morning (Wednesday). An ambulance, a paramedic area support officer and the Midlands Air Ambulance from Cosford were sent to the scene. A West Midlands Ambulance Service spokesman said: “On arrival, the woman was lying on the road. She had clearly suffered multiple serious injuries. “Ambulance staff stabilised the woman’s condition, splinted her legs and immobilised her. “She was then taken on blue lights to the major trauma centre at Queen Elizabeth Hospital, Birmingham by ambulance with the aircrew travelling with the land crew. Tuesday 10th January 2017 – 6.20pm – Murray MacGregor. 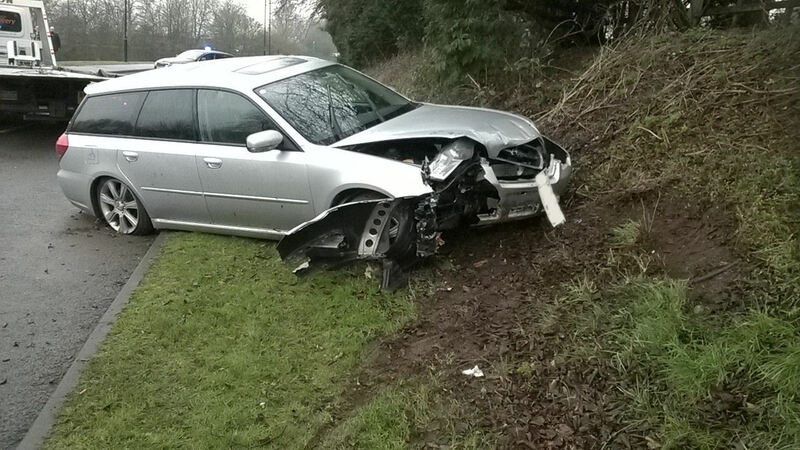 An elderly woman has suffered a potentially serious head injury after a collision with a car. It happened at the junction of Roman Court and Watling Street in the Wilnecote area of Tamworth at 12.30pm on Tuesday afternoon. Two community first responders from the Tamworth scheme were first on scene and were backed up by an ambulance and a paramedic area support officer. A West Midlands Ambulance Service spokesman said: “On arrival crews found the 78 year old woman with a potentially serious head injury. Whilst fully conscious, she wasn’t clear on what had happened. “Her condition was stabilised on scene and she was immobilised as a precaution due to the nature of the injury. “She was taken on blue lights to the major trauma centre at Queen Elizabeth Hospital Birmingham – the ASO travelled with the crew due to the woman’s condition. Tuesday 10th January 2017 – 11.15am – Jamie Arrowsmith. 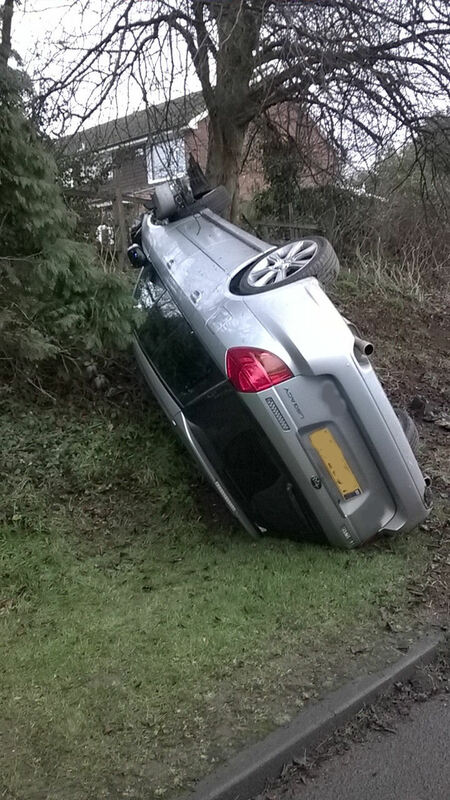 A man has received trauma care for serious injuries after his car overturned and collided with a tree. West Midlands Ambulance Service was called to the northbound A46 in Warwick, near to the junction with the A4177, at 6.15pm last night (Monday) and sent an ambulance, a paramedic area support officer and the Warwickshire and Northamptonshire Air Ambulance Critical Care Car to the scene. A man has been sentenced to 12 weeks in prison for assaulting a member of ambulance staff in West Bromwich. After pleading guilty to assault by beating, Donald Hornby, 25, from Birmingham, was sentenced to 12 weeks in prison on Thursday, 5th January and ordered to pay £265 in fines. The incident took place when West Midlands Ambulance Service (WMAS) was called to Moor Street in West Bromwich on the evening of Wednesday, January 3rd. Mr Hornby was initially unconscious at the time of the call but after coming round then became aggressive, leaving Robert Burness, a technician, with a blooded face. Speaking about the incident, WMAS General Manager for Birmingham, Nathan Hudson, said: “We welcome the fact that a custodial sentence has been issued in this case but are disappointed it is not longer. Is 12 weeks enough for a serious assault on a member of ambulance staff who had been called to try and help the defendant? Steve Elliker, West Midlands Ambulance Service’s Regional Head of Security and Safety said: “It is completely unacceptable that ambulance staff, who are responding to help people who have serious medical conditions or injuries, should have to face violence and verbal abuse. Notes to Editors: Pictured – Robert Burness. If used, please credit the image to West Midlands Ambulance Service. Monday 9th January 2017 – 11am – Claire Brown. If you’ve ever called 999, you’ll recognise these words. It’s the first thing our control room call assessors say when they answer the phone to a 999 emergency call. Throughout each and every shift this simple and life-saving phrase is repeated thousands of times but never ever said with anything less than the utmost importance. If you fancy a new challenge in 2017, we’re recruiting for call assessors to join our Emergency Operations Centre (EOC) in Stafford. You don’t have to drive on blue lights but you are just as important in helping to save lives. Call assessors are the first point of contact for anyone calling 999 for an ambulance; this could be an elderly man suffering a stroke, a mother worried about her unresponsive baby, a driver who has just witnessed a road traffic collision or a husband who suspects his wife isn’t breathing. Whilst help is being arranged for the patient, call assessors establish what’s happened, check on the patient’s symptoms and offer advice over the phone; advice that can and does saves lives. As our newest recruits into the control room will tell you, it’s one of the most rewarding jobs they’ve ever done. 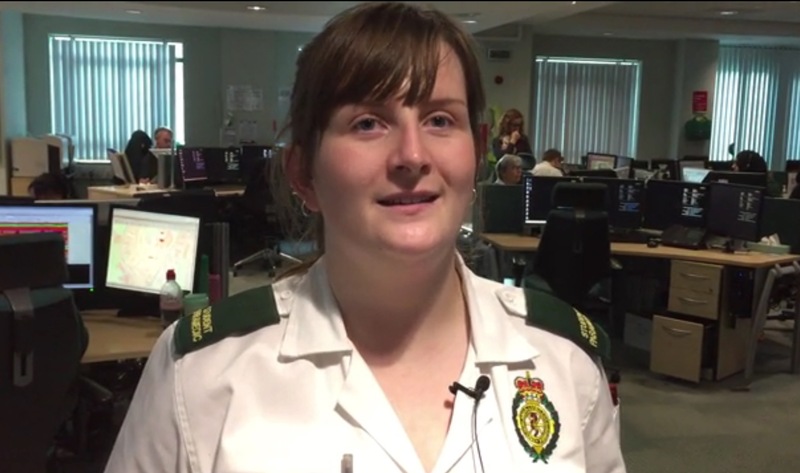 Annie-Rose Blackwell applied for the role in October last year, three months later, she was answering 999 calls. 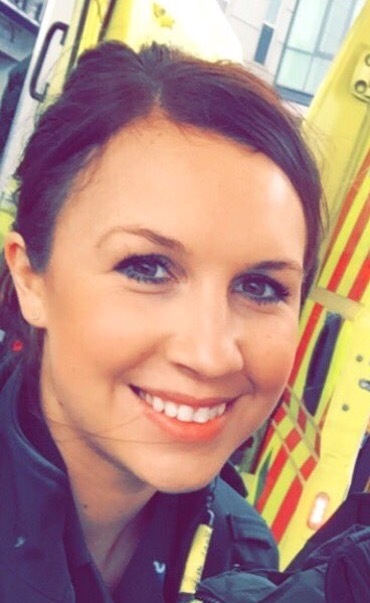 Annie said: “I was already working for the Trust as a call taker for patient transport but when the job in EOC came up I wanted to experience more of an emergency environment. The training proved intense and at times difficult but the support given by the trainers made the process enjoyable. The three-month training includes a nationally recognised first aid qualification, learning about health and physiology, an accreditation to use the national telephone triage system and comprehensive training to use the Trust’s computer systems. Once you’ve completed the classroom based training, you’ll be mentored in the Emergency Operations Centre taking 999 calls with an experienced call assessor until undertaking a final assessment where you’ll then be signed off as ready to taken 999 calls alone. To view the vacancy, job description and person specification, please visit http://www.jobs.nhs.uk/xi/vacancy/39c8ab9d7aaf237d300707e145e30153/?vac_ref=914465905 or search on NHS job for reference number 217-VN248-16-17. The closing date for applications is Thursday 19th January. Pictured (left to right): Theresa Alldritt, Natasha Robinson and Annie-Rose Blackwell. Monday 9th January 2017 – 10.20am – Jamie Arrowsmith. Five occupants of two vehicles have been fortunate to escape serious injuries following a collision on the M40 this morning which left a car and a van on fire. West Midlands Ambulance Service was called to the southbound carriageway of the M40 between junctions 13 and 12, near to Warwick Services, shortly after 7.30am. An ambulance and a senior paramedic officer attended the scene. A West Midlands Ambulance Service spokesman said: “On arrival, crews discovered a car and a van that had been in collision, both of which had caught fire as a result. Monday 9th January 2017 – 8.45am – Jamie Arrowsmith. Two people have died following a single vehicle road traffic collision on the M6 overnight. 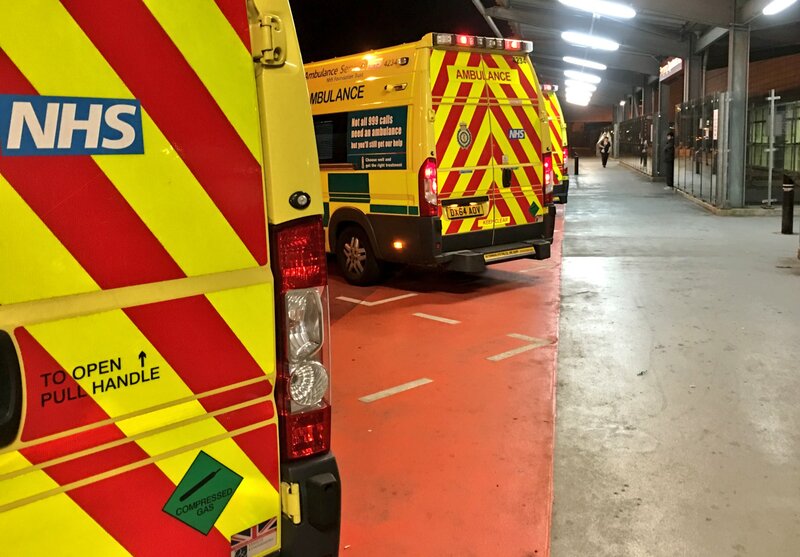 West Midlands Ambulance Service was called to the southbound carriageway of the motorway between junctions four and three, near to Corley Services, just before 2.15am. An ambulance and a paramedic area support officer attended the scene. A West Midlands Ambulance Service spokesman said: “On arrival, crews discovered two patients in the car, which had set alight. We do not know the gender of either patient. Friday 6th January 2017 – 3.10pm – Claire Brown. Those were the words of Senior Paramedic Officer Nigel Wells after attending a road traffic collision on Gypsy Lane in Nuneaton; a location ambulance staff in the area are familiar with attending for collisions. The Trust received a 999 call reporting a car colliding with a tree at 1.40pm today and responded Nigel and an ambulance to the scene. A West Midlands Ambulance Service spokeswoman said: “When ambulance staff arrived they found a man in his 40s walking around. The car was on its side next to a tree. 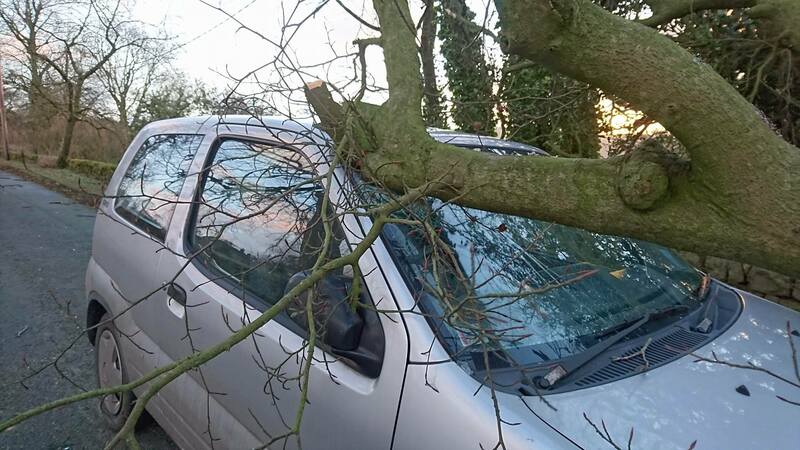 The roof of the car had collided with the tree, bringing the car to a stop. Friday 6th January 2017 – 1.25pm – Murray MacGregor. The clock is ticking; you now only have just over two days left to get your application in to become a student paramedic with West Midlands Ambulance Service in 2017. 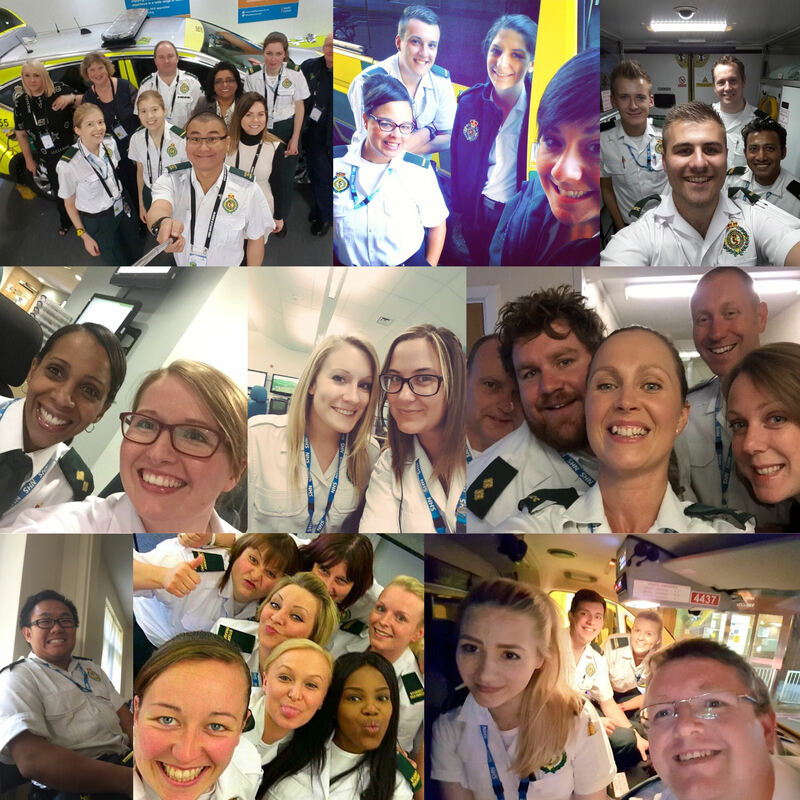 The Trust is recruiting 300 people to join us in one of the most fulfilling careers available, with positions in the Black Country, Birmingham, Shropshire, Staffordshire and Coventry & Warwickshire. More than 8,000 people have viewed the job description so far on NHS Jobs and whilst we’ve received 157 applications there are hundreds which have been started but are yet to be completed. The deadline is 11.59pm on Sunday 8th January. Applications will not be accepted if you do not have copies of educational certificates and have at least applied for your C1 driving licence. If your application was stopped previously but you now have these essential items, please contact the Recruitment Team so that they can reset your application. Make sure you read all of the information on NHS Jobs thoroughly, particularly the ‘Additional Information’ document that you can download. If you need support or require further information about filling in your application form, please contact recruitment@wmas.nhs.uk or on 01384 215 896 during office hours. You can find out full details about the role by logging onto http://www.jobs.nhs.uk and searching for Job Reference: 217-VN240-16-17 or you can click on the link here. Wednesday 4th January 2017 – 4.15pm – Murray MacGregor. A man has died after a head on collision which also left two other people injured. The crash happened shortly after 2.05pm this afternoon on the A458 between Cressage and Cound in Shropshire. A paramedic area support officer was first on scene and was backed up by three ambulances and two air ambulances; the Midlands Air Ambulances from Cosford and Staffordshire. A West Midlands Ambulance Service spokesman said: “On arrival crews found a car and a 4×4 vehicle that had suffered severe damage. The 4×4 was on its roof. “Tragically, it was not possible to save the life of the driver of the car, a man, and he was confirmed dead at the scene. “A 62 year old woman who was the front seat passenger was taken to Royal Shrewsbury Hospital by land ambulance with rib and pelvic pain. Wednesday 4th January 2017 – 12.45pm – Jamie Arrowsmith. We’re looking for keen and willing potential recruits in Herefordshire in postcodes HR1-HR9 inclusive and WR15 to join our next Community First Responders (CFRs) training course. Interviews will take place on January 24th and successful applicants will then attend a nationally recognised training course spanning three weekends over an six week period in February 2017. The course will cover Basic Life Support and Defibrillation, Medical Emergencies, Traumatic Emergencies and Preparing for Active Duty. They will then train alongside ambulance crews before going ‘live’. CFRs are everyday members of the public who are trained in a number of assessments and basic lifesaving techniques including the use of a defibrillator, a device used to restart the heart of someone who has suffered a cardiac arrest. Their availability, close proximity and local knowledge of their area are among their many assets. To volunteer, you must be aged 18 or over, have a full driving licence, be physically fit and be self motivated. Volunteers are required to commit to a minimum of 208 hours service to their community per year. West Midlands Ambulance Service will help you obtain the necessary equipment and no previous experience is necessary as we will provide the training. To apply, please visit www.jobs.nhs.uk and search for job reference 217-VN-CFR002-16-17. Applications close on Thursday, January 12th. Tuesday 3rd January 2017 – 5.20pm – Jamie Arrowsmith. A man has received advanced trauma care after being rescued from a flat fire before being taken to hospital in a critical condition. West Midlands Ambulance Service was called to a block of flats in Hamlet Way, Stratford, shortly before 3.40pm and sent two ambulances, a senior paramedic officer, a paramedic area support officer and the Warwickshire and Northamptonshire Air Ambulance to the scene. “Crews then treated him for severe smoke inhalation before he was anaesthetised in order to stabilise his condition. 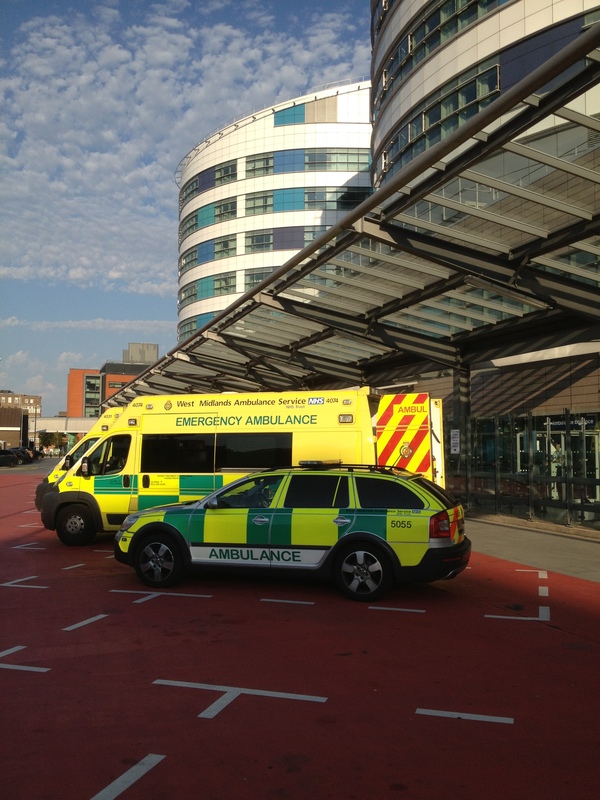 “He was then transported to Queen Elizabeth Hospital, Birmingham via land ambulance, using blue lights and sirens, in order for him to receive further treatment. Tuesday 3rd January 2017 – 12.30pm – Murray MacGregor. West Midlands Ambulance Service rang in 2017 with the busiest day ever for the Trust. During the day (1st January), WMAS received no fewer than 4,629 emergency calls, a staggering 807 more than the next busiest day, which was 1st January 2011. It rounded off an incredibly busy Festive period for the Trust. For the five day period Thursday 29th December to Monday 2nd January, the Service took 18,583 calls compared to 15,933 for the same period in 2015-16; that equates to a 16.6% rise in call numbers for the five days. Whilst the evening of New Year’s Eve and the early hours of New Year’s Day were filled with alcohol related calls including assaults, falls and unconscious patients, the majority of calls during the five days were for people who were unwell with the likes of breathing difficulties, chest pains and falls. Trust Chief Executive, Anthony Marsh, said: “I am very grateful and proud of all the staff and volunteers that worked through this period. While the majority of people were enjoying time with family and friends, my staff were working 24 hours a day to keep the public of the West Midlands safe. Tuesday 3rd January 2017 – 1pm – Jamie Arrowsmith. A woman has died following a collision with a van this morning. West Midlands Ambulance Service was called to Tower Hill in Bidford on Avon, at 8.15am and sent an ambulance, a community paramedic in a rapid response vehicle, a paramedic area support officer and the Warwickshire and Northamptonshire Air Ambulance to the scene. A West Midlands Ambulance Service spokesman said: “Crews arrived at the scene to find a woman who had suffered very serious injuries in the collision with the van and was in cardiac arrest. “Members of the public had already started CPR which ambulance staff took over. “However, unfortunately it quickly became apparent that nothing could be done to save her and she was confirmed dead at the scene. Tuesday 3rd January 2017 – 9.15am – Jamie Arrowsmith. A man has died and a woman has been seriously injured after a car crashed into a wall last night (Monday). West Midlands Ambulance Service was called to West Bromwich Road in Walsall shortly after 10.20pm and sent two ambulances, a paramedic area support officer, a MERIT trauma doctor and the Warwickshire and Northamptonshire Air Ambulance Service Critical Care Car to the scene. A West Midlands Ambulance Service spokesman said: “On arrival, crews discovered two patients who were still inside the car following the collision. “The driver, a man, was found to be in cardiac arrest and was rapidly freed from the car in order for CPR and advanced life support to commence. “However, despite everyone’s best efforts it unfortunately became apparent that nothing could be done to save him and he was confirmed dead at the scene. “The passenger, a woman believed to be in her 30s, was trapped in the car for about 45 minutes and had to be cut free with the help of the fire service.